Sophomores, Summer Nelson and Sage Moran were called up to assist in the Varsity win over the Westside Warriors at home today. Nelson constructed solid point play at the #5 spot posting the first court 8-4. Moran fought hard at #6 but found her junior opponent’s match play experience a bit stronger than expected falling 2-8. 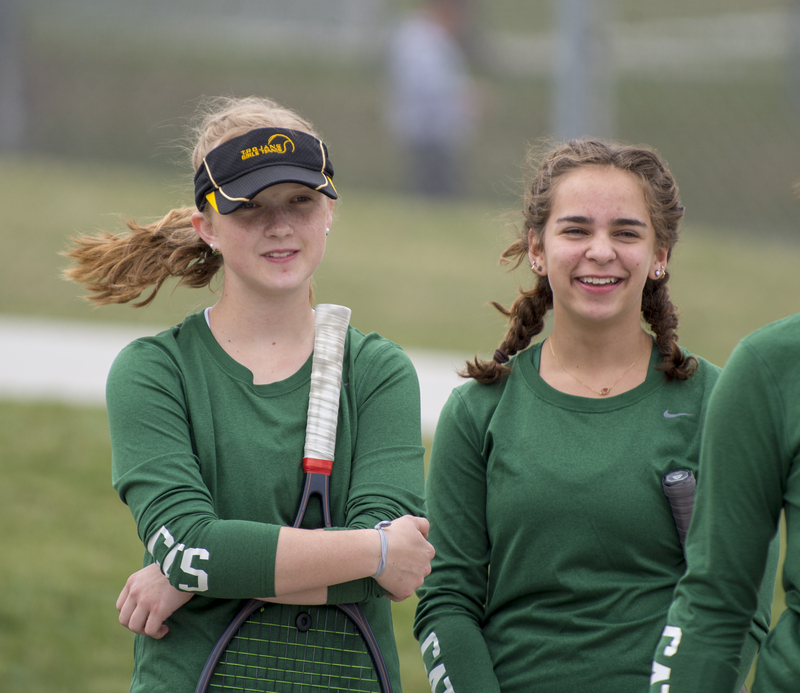 Varsity singles players also winning were #1 Katy Freiburger 8-3 and #4 Madie Beninato 8-2. Doubles play was swept just before rain would have made it too dangerous to play. Back in the line-up was senior Anna Stuckwisch at #1 doubles with Macie Mally winning handily 8-2. #2 Doubles Chloe Ekborg / Tessa Nuismer and #3 Madie Beninato / Makayla Gill both took a couple more games both winning 8-4 to close out the match play. The Wildcats host the Kearney Bearcats Friday, April 27, before heading into tournaments on the weekend and early next week.